Wordless Wednesday: "Summertime and the livin' is easy..."
Orange is the color of my summer garden. 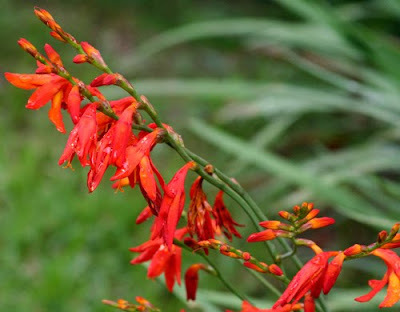 It seems that almost everything that is blooming in the garden right now is a variation of that flame hot hue. 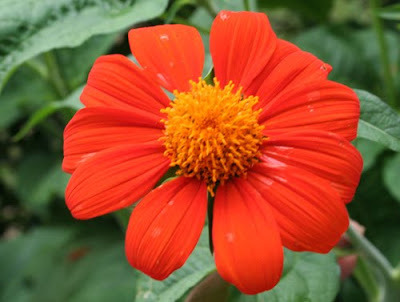 Everywhere I look I see orange cannas, orange sunflowers, orange zinnias and marigolds, the red-orange of jatropha, Mexican flame vine - well, you get the idea. 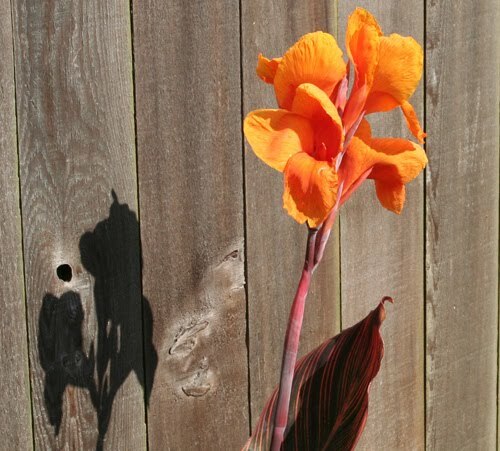 Orange is the dominant color of my summer blossoms. Like most things in my garden, that wasn't planned. It just sort of happened. 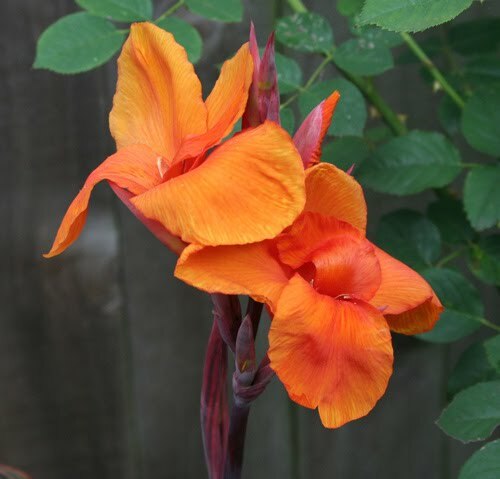 I like hot colors and I guess I just gravitated to all those orange flowers, but maybe people see the orange in me, too, because several of my orange-blooming plants were passalongs. Last year, in late winter, my neighbor Virginia came over with a plastic bag full of bulbs. 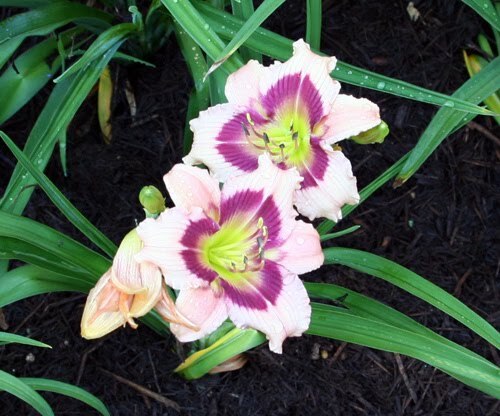 She called them "hurricane lilies." 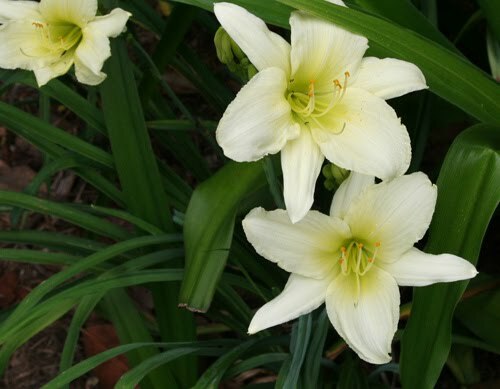 Well, they didn't actually resemble what I think of as hurricane lilies, but then that label has been applied to several different plants. Virginia's stand of the "lilies" had grown too thick and she was thinning them out and asked if I wanted some. Never one to turn down a free plant, I happily took the proffered bag. I wasn't quite sure what I wanted to do with them so I ended up planting them way in the back of the yard next to the garden shed until I could come up with a better idea. A couple of the plants bloomed last summer. Pretty little things, I thought, and in the intervening months the bulbs multiplied and just about took over the bed where I had planted them. And this summer, my goodness, what a nice display they are making! I've decided that they are some variety of crocosmia, but I'm not sure which one. 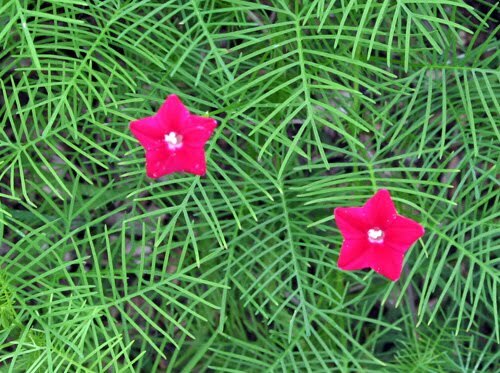 Do you know these blossoms? 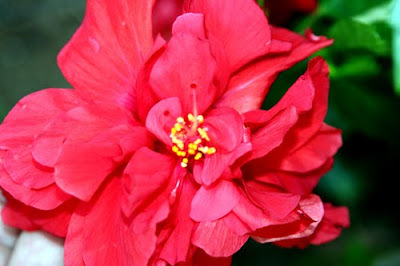 Here's a close-up of one of the mature flowers. Whatever its real name, the plant fits right in with the orange theme of my summer garden. It seems right at home here. You've probably seen some of the memes that float around the Internet from time to time - the ones that tell you that you might be a (fill in the blank) if you (fill in the other blank). They are very popular. There seems to be one to fit every occupation and every occasion. There are several related to gardening and recently a friend passed along one that purports to tell the reader if he/she is addicted to gardening. Well, both my friend and I already know that I am addicted to gardening and I smiled in recognition as I read many of the statements. See if any of these statements describe anyone that you know. 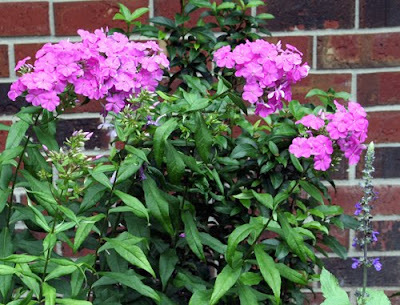 ... You always carry a shovel, bottled water and a plastic bag in you trunk in case you need to do an emergency plant rescue. ... When planning your budget, you pencil in an amount to spend on plants before you consider how much money you will have for groceries. ... You spend more time chopping up vegetables for your compost pile than for cooking. ... You'd rather go to a nursery than a clothing store to shop. ... You know that Sevin is not a number. ... You look at your child's sandbox and see a raised bed. ... On every occasion that calls for a gift, you ask for garden tools or bags of manure or mulch. 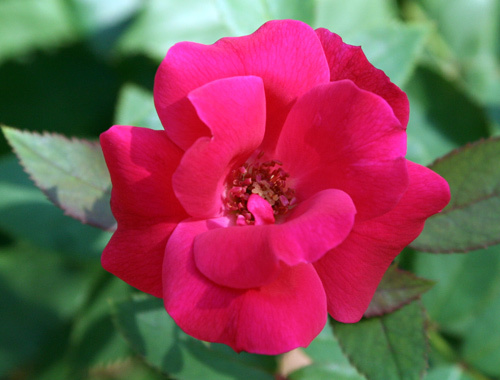 ... You appreciate your Master Gardener badge more than your jewelry. ... You sneak home a 7-foot Japanese maple and wonder if your spouse will notice. 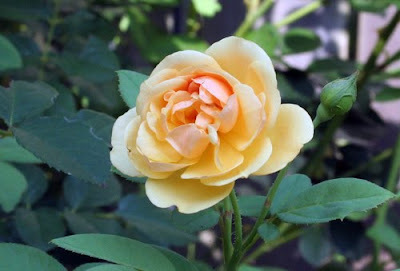 ... You plan your vacation trips around locations of botanical gardens, arboreta, historic gardens, etc. ... You like the smell of horse manure better than Estee Lauder. ... You take pride in how bad your hands look. ... Soil test results actually mean something to you. ... You know how many bags of manure, potting soil, or mulch your car will hold. ... You understand what IPM means and are happy about it. ... You buy a bigger truck so you can haul more mulch. ... You drive around the neighborhood hoping to score extra bags of leaves for your compost pile. ... Your preferred reading matter is seed catalogs. ... And finally, your neighbors don't call for the rubber-padded wagon when they see you wandering around your yard in the early morning in your pajamas, rubber clogs and carrying a cup of coffee in one hand and pruning shears in another. They just shake their heads and mutter, "Garden geek!" Have you hugged a pollinator today? Do you enjoy eating? Then, thank a pollinator, because without these hard-working animals your choice of fare would be extremely limited. They pollinate over 75% of our flowering plants and nearly 75% of our food crops. They count among their number such animals as hummingbirds, bats, bees, beetles, butterflies, and flies. 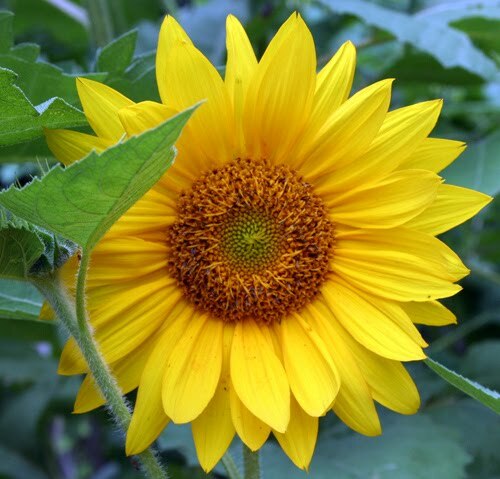 They carry pollen from one plant to another as they collect nectar. Thus, they ensure that the links of the food chain are not broken and that we and all the animals that depend on vegetation for sustenance do not starve. 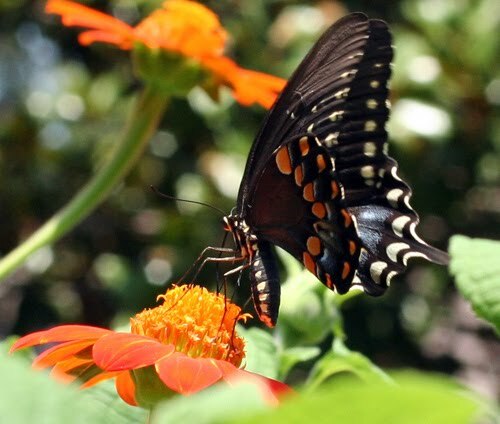 Secretary of Agriculture Tom Vilsak has signed a proclamation designating the last full week in June as National Pollinator Week in order to draw attention to the important role that these critters play in our lives. Many state governors, including Texas' governor, signed similar proclamations, and the week is being celebrated not only in the United States but right around the world. That's as it should be, for where would we be without these guys? Hungrier, that's for sure. Let's take a look at some of the pollinators that do the essential work of moving pollen around and ensuring the production of food. Let's start with one that is not so cute or cuddly. Bats get a bad press among many people and yet they are VIPs - very important pollinators - in many parts of the world. 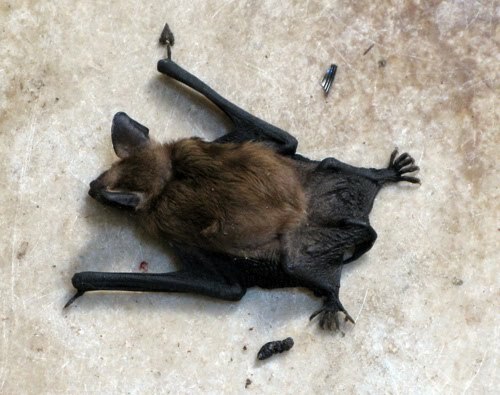 Many species of bats visit flowers in darkness to lap at the nectar and eat the protein-rich pollen. Most of these species live in the tropics or subtropics, some of them in areas that are extremely food-challenged, and so their activities are very important. Bats in temperate North America, such as the Little Brown Bat in the picture, are exclusively insectivorous; thus, although they don't help pollinate our plants, they do play an important part in ridding us of harmful flying insects such as mosquitoes. 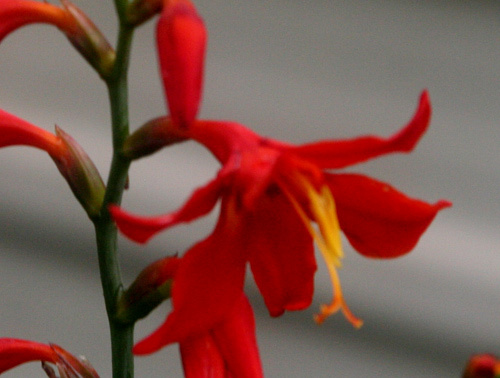 This may be our most endangered pollinator - the honeybee. The still unexplained colony collapse disorder, pesticides, and mites have destroyed large segments of the honeybee population in this and other countries. 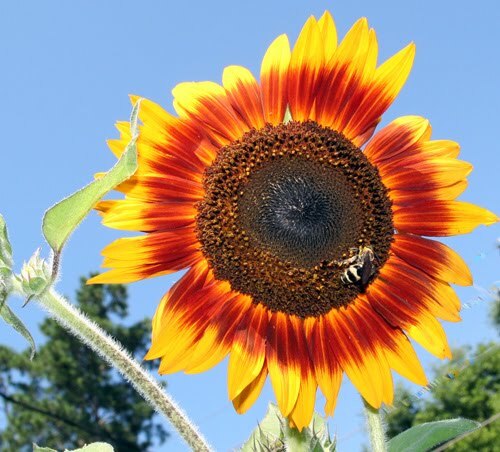 This is a serious problem because many food crops are dependent upon this pollinator. Some, like almonds, are totally dependent upon them and could not survive without them. Without the workaholic honeybee, it could indeed become a hungrier world. 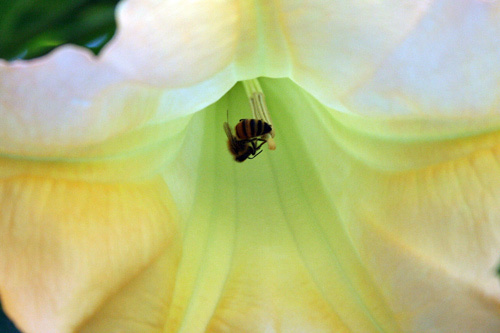 But even if all the honeybees disappeared, we would still have bees assisting in pollinating our plants. Our native bees - the honeybee, after all, is an immigrant - are among the hardest-working and most efficient of all pollinators. 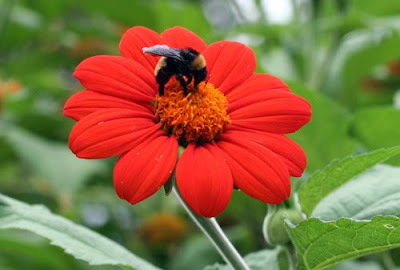 Bees like the bumblebee, pictured above, as well as the mason bee, sweat bee, carpenter bee and many others play a large role in getting the food to our table and they deserve our protection. Probably the most important step that we can take to protect them as well as other pollinators is to forgo the use of pesticides in our gardens. We don't often think of flies as pollinators, but, in fact, they as well as many members of the beetle family do act as pollinators. There is an ick factor related to flies, but many of them are colorful and really quite beautiful. 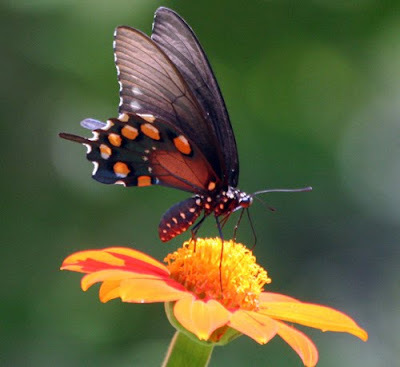 There is, of course, no more beautiful or colorful group of pollinators than the butterflies, represented by this Spicebush Swallowtail. 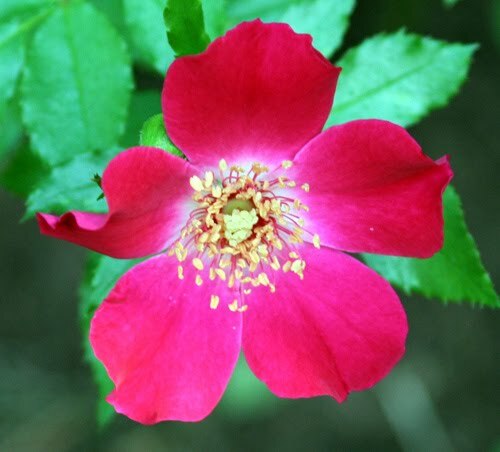 Neither is there any group of pollinators that is more beloved and more welcome in the garden. Just remember: They are insects and insects are killed by pesticides. If you want lots of these pollinators in your garden, don't use pesticides. 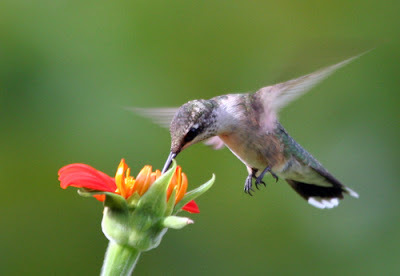 There's only one creature that can challenge the butterfly for the affections of gardeners everywhere and that, of course, is the hummingbird. We love to welcome these flying jewels to our yards. 1. Plant a pollinator garden. Consider the pollinators you want to attract and plant the plants that they need. A little research will show you what they are. 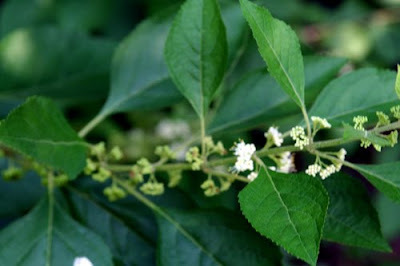 In the case of butterflies, this will include both nectar plants for the adults and host plants for their caterpillars. 2. Build and hang a bee box. There are commercial nest boxes available for mason bees but you can construct a simple one using something like tubes of bamboo. These bees will utilize almost any kind of tube in which to lay their eggs. 3. Avoid or limit pesticide use. This is the most important one of all. For those of us who like to eat, there are no more important critters than these. Let us all acknowledge that importance by supporting our local pollinators. One more thing before I head out of town. 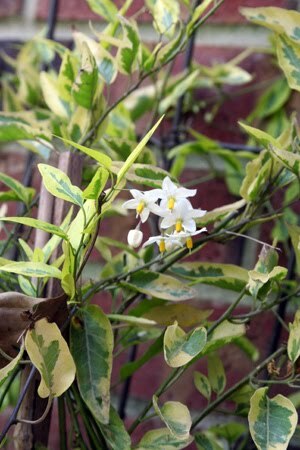 It is, after all, Garden Bloggers' Bloom Day, and so I can't leave town without showing you some of my bloomers. 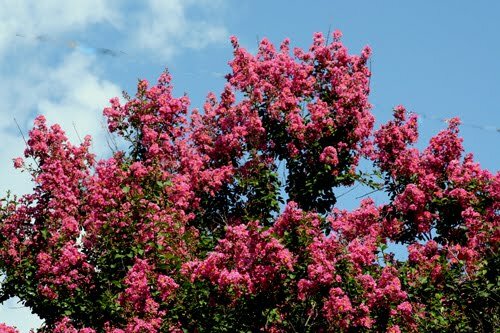 It's June, time for the crape myrtles to show us their stuff. 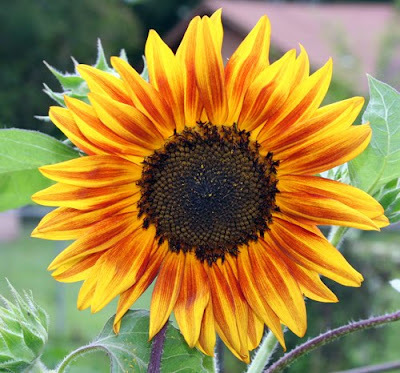 This is my oldie but goodie, planted by the birds, that towers over my backyard and gives us this bit of watermelon-colored eye candy for several weeks every summer. 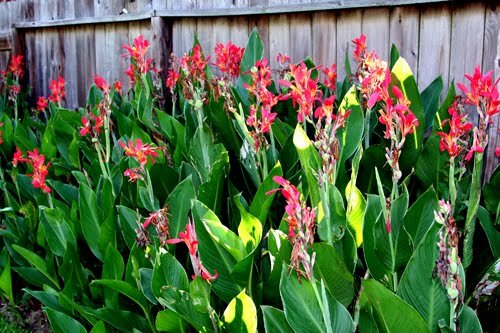 Another oldie but goodie, my species cannas fill their bed along the fence. I got my start of them from my good neighbor Ms. Lui many years ago. She's no longer my neighbor, except in my heart. I grow the 'Tropicanna' for its colorful leaves, but the blossoms aren't bad either. Beautyberries, on the other hand, are grown for their beautiful berries that come along in the fall. But if you're going to have berries, you first have to have blossoms. 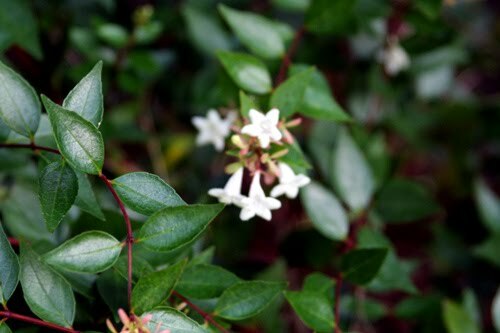 I grow the abelia mostly out of sentiment. 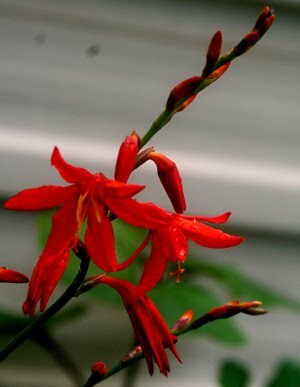 I got my start of it from my Aunt Marcelle's yard. It is an attractive and tough shrub and somewhat underused, I think. 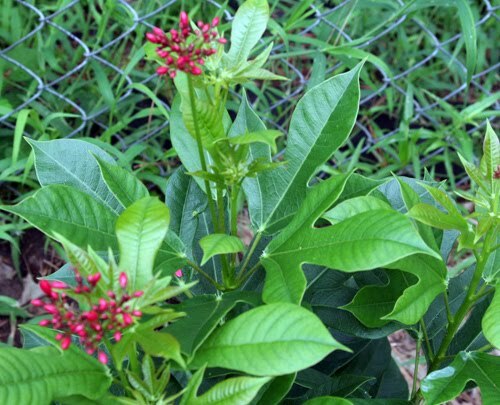 I like the little blossoms that cover it in late spring, but I'm particularly fond of its attractive red stems and shiny leaves which are eye-catching throughout the year. 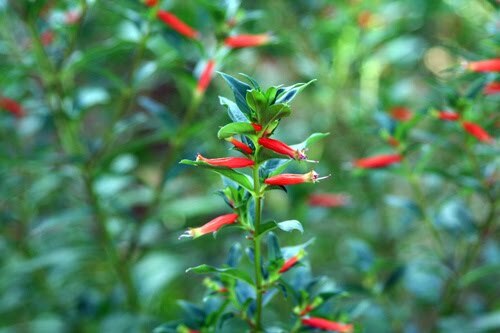 This cuphea 'cigar plant' has been in full bloom for weeks and weeks and shows no sign of stopping. 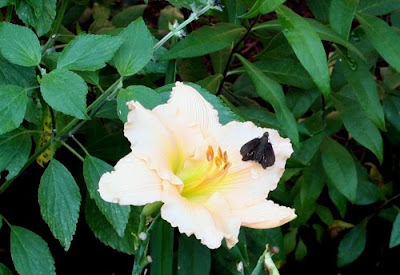 This little skipper butterfly stops to take a break on a daylily. 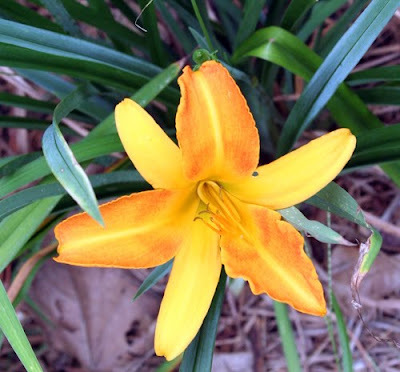 Nearby, another cute little daylily offers its enticements to passing pollinators. 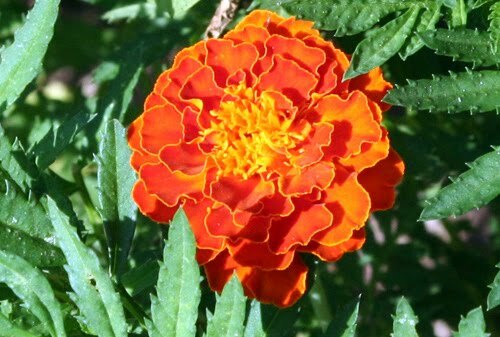 The summer annuals like marigolds bloom all around the vegetable garden beds now. 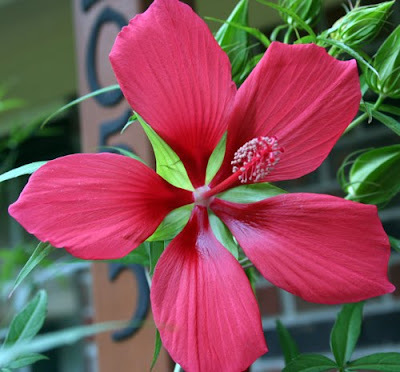 My mystery hibiscus continues to give me several of these wonderful blooms every day. 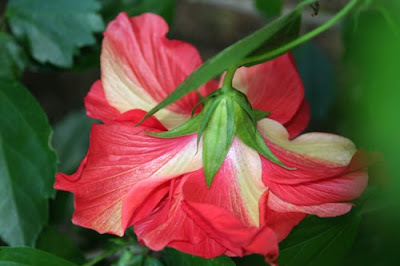 This is the underside of that hibiscus bloom. I had hoped to have some crinum and crocosmia blooms to show you this month, but they both missed the cut. Lazy buggers! Nothing lazy about the Phlox paniculata, though. It is hard at work. 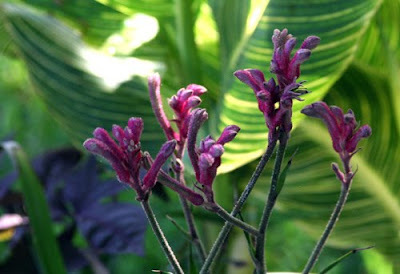 This burgundy "kangaroo paws" blooms in front of the variegated leaves of a canna. 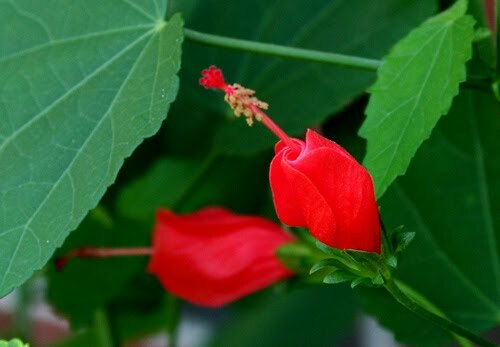 I have three 'Turk's caps' at different spots around the garden and all are in bloom now. The coral honeysuckle has bloomed its heart out all spring long. 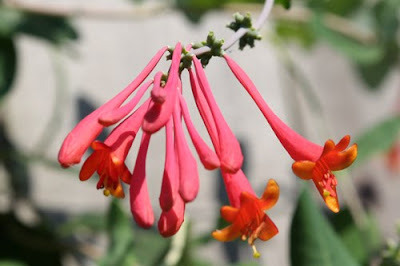 Its blossoms are supposed to be attractive to hummingbirds. I can't recall actually having seen one visit this plant, but if I were a hummer, I certainly would! 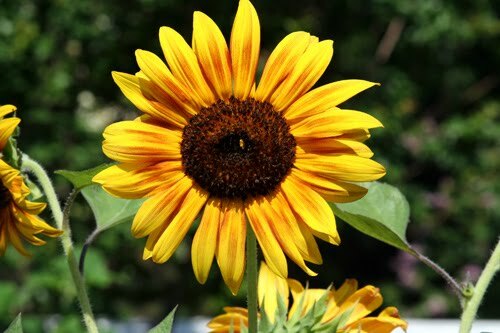 Many of my sunflowers are in bloom now, pulling in the pollinators and the birds - as well as the gardener who enjoys standing and admiring them. This one gives me a crick in the neck because it towers a couple of feet above my head. The bees and I like it a lot. 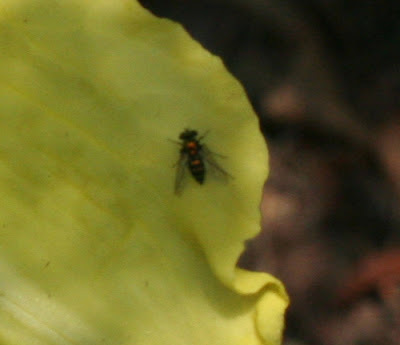 This appears to be one of the native bees, although I'm not sure which one. Okay, that's going to have to hold you for about a week. Meet be back here at the blog in the middle of next week. Meantime, happy gardening and I do hope we get some rain in my absence! Getting ready to get outta town! In a couple of days, we'll be leaving town for about a week for our annual road trip to visit friends and family and the gravesites of my parents and other relatives. In getting ready for that trip, I've been extra busy in the yard, trying to get everything in optimum shape before I leave. As I reported in my last post, things were pretty much a disaster so I had my work cut out for me. To make my plants as comfortable as possible, I've been furiously weeding, spreading mulch and watering to get them ready for my absence. Yes, watering is still necessary here. We did get about one-and-a-half inches of rain early last week, but it's long gone. Things are dry as dust again. The tomatoes and cucumbers are coming in fast and I'm afraid a lot of them will go to waste while I'm gone. One of our daughters will be house, yard, and cat sitting, but she'll have her hands full and I don't really expect her to deal with ripe produce. At least we finished up with the corn, green beans, and squash. The plants were spent and were pulled up and tossed onto the compost pile. We're still getting blueberries, but I'm sure the mockingbirds will be happy to take care of them for us while we are gone. This is not really a good time to be away from the garden, while the vegetables are still producing and everything, including the weeds, seems to grow at least a foot overnight. But next weekend is the time for the "decoration" at the cemetery of the church where I grew up and where my parents are buried. Flowers must be carried there and I must carry them. My own flowers and shrubs and vegetables will just have to wait. My garden is a disaster. A literal, green, lush disaster. It all started about a week ago when I stood in the middle of my yard and congratulated myself on the fact that I was finally getting control of the garden. In spite of the drought, things were looking good and I felt good about how they looked. But trouble was brewing for me in the vegetable garden where things were looking a little TOO good. All of my vegetables were getting ready for harvest at once and I needed to get busy freezing and canning and using the produce. And so I did. For several days, I concentrated on preserving my vegetables and fruit that were ready to be picked. Through the rest of the week and the weekend, while it was miserably hot, I hardly went into the garden. 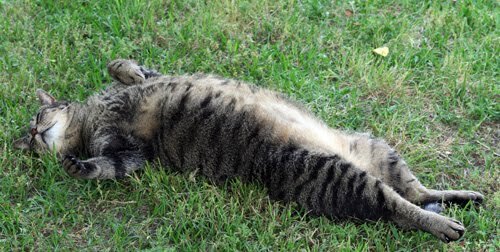 Meantime, last week, my lawn service failed to come and mow my yard. By the end of the weekend, grass was higher than my ankles. Then, on Monday, it started to rain. On both Monday and Tuesday, we got substantial amounts of rain. When I walked out into my yard today, I hardly recognized it. My well-ordered landscape of a week ago was gone. The grass, which still hasn't been mowed, is now knee high in places. 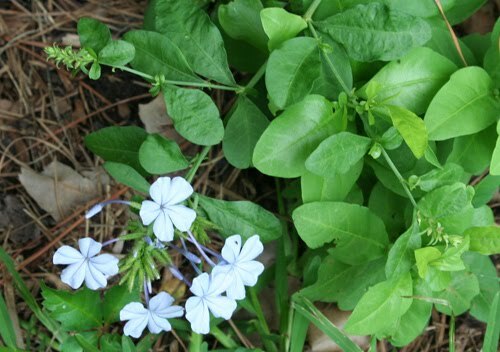 All of my planting beds are overgrown and full of weeds. I repeat, my garden is a disaster. But amid the disaster, there are a few bright spots. I went out with the camera today to record some of them to console myself. The 'Texas Star' hibiscus near the front door is full of buds and has finally started blooming. 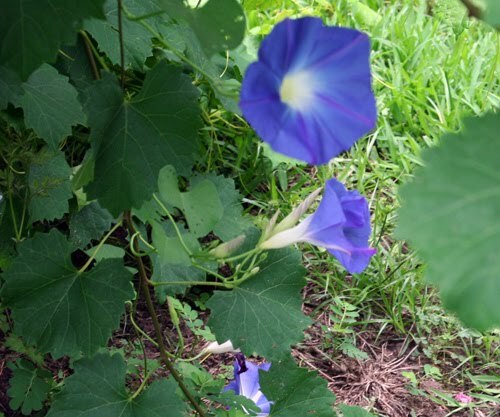 The morning glories bloom among the muscadines. 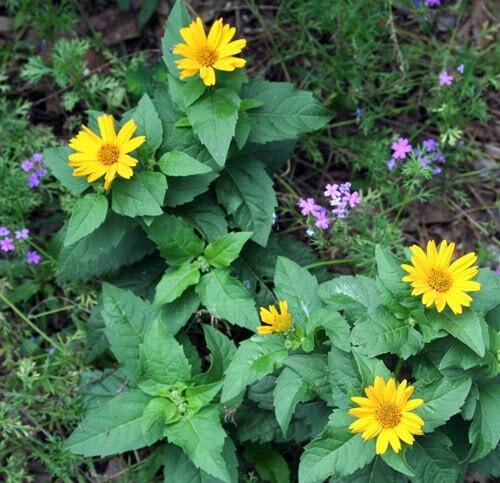 Suddenly, from last summer, this little 'Tuscan Sun' heliopsis has popped up and started to bloom. It didn't do very well for me last year and disappeared early in the fall. I thought it was gone forever. Guess not. This jatropha, which I also gave up for dead after last winter, is starting to bloom. Nearby, this happy-faced daylily has been in bloom for weeks now. 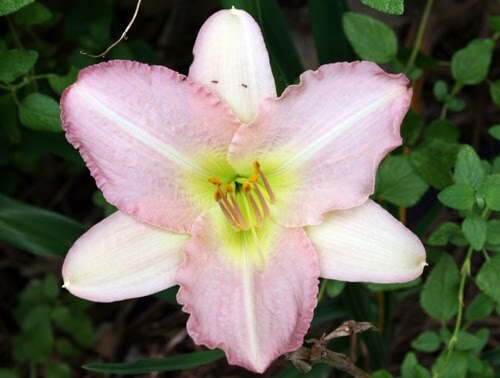 And just starting its bloom is this tiny member of the daylily family. 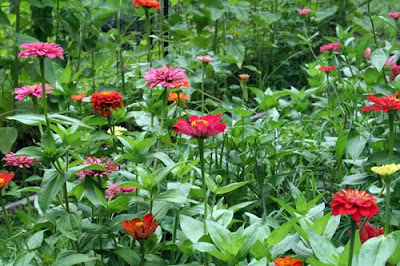 The volunteer zinnias have spread all over this bed in the veggie garden, the one where I had 'Russian banana' potatoes earlier this year. The cypress vines reseed every year, too, and always make me think of my mother from whom I got the original plants many years ago. The volunteer Mexican sunflowers, as usual, have sprung up in several places in the yard. Unless they are in the way of something, I leave them alone because the butterflies and hummingbirds love them so. I also planted sunflowers myself. This is one of them. 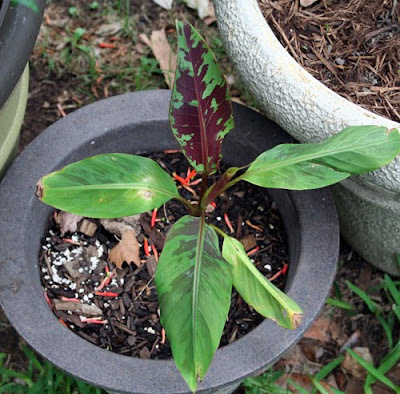 Here's another one I planted. I love the gradations of color here. It could have been painted by Van Gogh. The plumbago has been slow to come back after last winter, but, finally, it is beginning to bloom a bit. 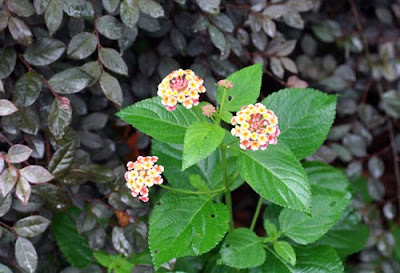 I have several lantanas around the garden and all of them are in bloom now. 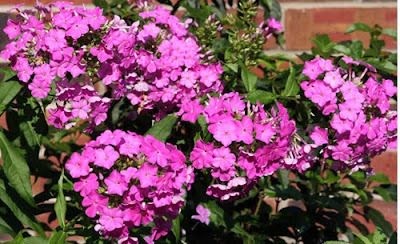 The Phlox paniculata in the mixed border out front if full of blooms. 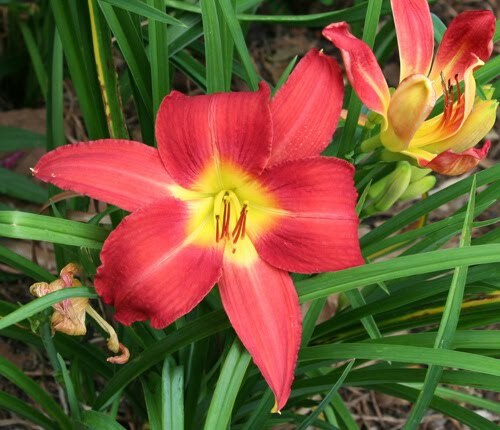 Tucked in next to 'Hot lips' salvia is this pretty little daylily. So how did it get there? Did I actually plant it there? I can't blame any one else. Evidently, I didn't know what color it was and didn't realize that it would clash with the salvia. 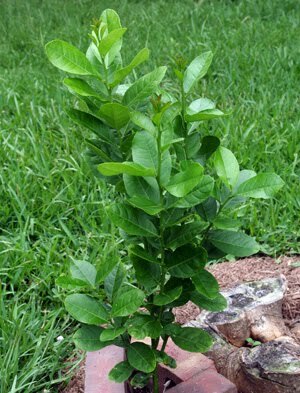 The rejuvenated 'Ponderosa' lemon tree is more than two feet tall now and getting bushier. 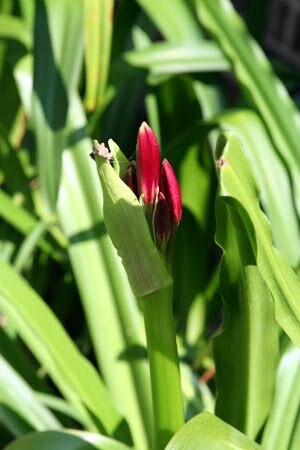 'Tropicanna', one of my favorite cannas, has begun its bloom. This little banana that I got from Bananaman at our recent bloggers' meetup is coming along. I believe it is Musa acuminata, var. Sumatrana. Those orange blossoms in the pot with it are from a nearby cigar plant. 'Chi chi' ruellia which I once erroneously identified here as 'Katie' (but, of course, you knew better) loves the rain we're getting this week. 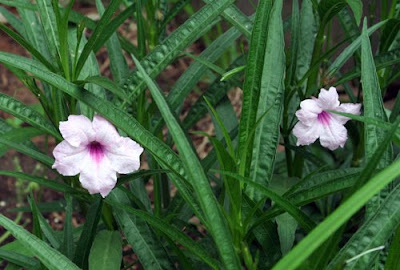 The variegated potato vine is still putting on a few blooms but its big attraction is its leaves. 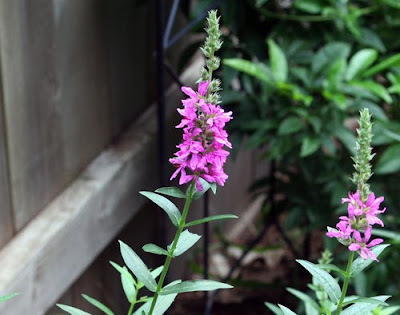 'Morden's pink lythrum' has come back strong from last year. 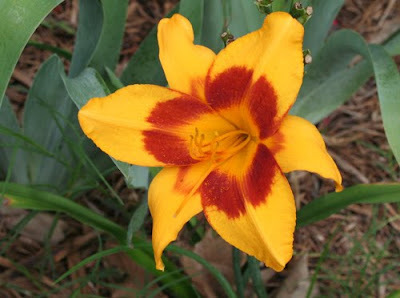 And all around the yard, daylilies of every color and kind are in bloom now. Whoops! What was that? 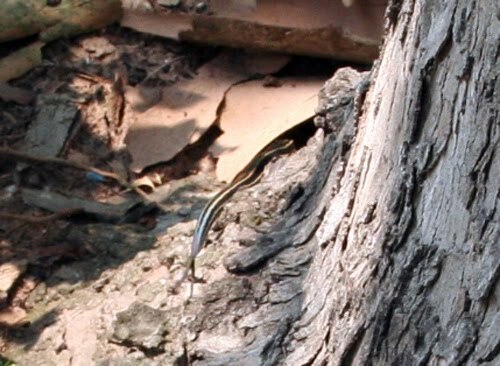 See that striped tail at the base of the tree? There's a new lizard in my yard. It's one of the racerunners and it lives up to its name. It is very quick, so quick that I couldn't get it to sit still long enough to get its whole body in a picture. It's a pretty big lizard, maybe 9 or 10 inches long and I have never, ever seen one in my yard before. I'll be on the lookout to see if it stays and its numbers increase. So there are some things of interest in my yard this week in spite of the discouragingly rampant growth of weeds and grass. If the lawn service will just come and mow for me and if I can get into the yard the next couple of days to do some weeding, maybe, just maybe, I'll begin to feel in control again.